This week has been crazy busy, I went off to Drayton Manor which was so much fun. 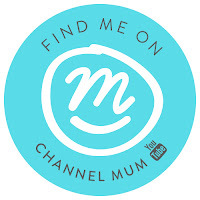 I've been to London to go to my first vlogging event, and I can now announce I am part of Channel Mum. Three huge, HUGE things happend this week and I feel delighted and so excited that I got to experience them. 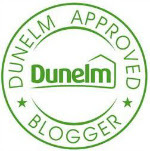 I will be writing about each topic separately on my blog over the next few days so keep an eye out for those. As for what me and Penelope got up to baking wise this week, we made Easter Bark. Sounds interesting huh? Keep reading to find out how you can fill your fridge full of it. Seeing as Easter is fast approaching I wanted to keep this weeks make themed with the Easter Holidays. -Use your spatula to gently push the toppings into the chocolate so that they can set into the chocolate properly. -Once set, take out the fridge and pull each of the sides until your chocolate pops out of place. -Smash the bar onto the kitchen side and break up in your desired sizes. -There you have it, Easter Bark! You can of course alternate your toppings to make them different each time! This is great to keep in the fridge for snacks for yourself as a sneaky treat away from children in the evenings, or as treats for your children. It'd be a great party treat for your party table if you were hosting an Easter themed party. Little Appetites! Myself and Stephanie at Raising Emily are hosting together as we have always had similar interests in baking/cooking with our young children. We wanted to bring everyone else into our world so thus forth we have decided it was time to create Little Appetites. A place to share our foody loves with other families, spend time with your kids, and create those precious memories that last forever. Each week on a Friday from 6.30am we will be live. All rules will follow below! 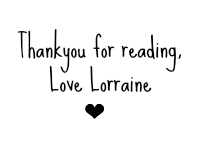 So read until the end to find out how to join in with us. This is so cute. The kids would love this. Defo gonna make them the weekend!! Oh yum yum! We just made some nests.